Growing up in a military family has given me deep respect for those who enlist and serve. My Dad and one brother were in the Air Force, two other brothers in the Marines, and my fourth brother in the Army. I’ll never forget the first time one of my brothers was deployed, the feeling of anxiety, the rock in my stomach and so many prayers that they would return safely. One of those brothers went on to become a police officer. One day we received a call that he had been shot, and my world stopped while I tried hard not to let the tears fall, wanting to ask the questions no one could answer. Looking back, I’m incredibly grateful that he was able to recover from his injuries. Several years ago, when I was in Human Resources, a group I was with witnessed a bad car accident and called 911. When the paramedics arrived, I saw one of my employees hop out of the truck. He was far too busy to notice I was there as he worked diligently to save the person’s life. When he arrived early the next morning at our workplace, I realized that his wages for saving lives wasn’t enough to live on and required him to work a second job. Over the years I’ve become friends with many nurses and teachers. I admit to being surprised at how hard and long they work, using their own money to purchase class supplies for children whose parents couldn’t afford them. All this while their own pay and benefits decreased and their workload increased. This is a very small sampling of experiences, but they’ve burned into me a deep gratitude for those who give so much for so little in return. As a REALTOR® I’ve found a way that I can say ‘thank you’ and give back to those who serve their country or community: First Responders; active, retired and veteran Military personnel; Teachers; Nurses; Police and Firefighters. To show my appreciation, I gratefully give a 25% rebate from my commission to you at close of escrow. This amount will often pay for closing costs, home warranties and more. Typically, a $275,000 home will result in a rebate of over $2,000. Thank you for serving our communities and nation! To build or not build??? That my friends, is only the first of many questions you need to consider before you walk in the door. Once you have decided to embark on the journey of new construction communities, the questions will just keep on coming. I am hoping I can answer a few for you here. 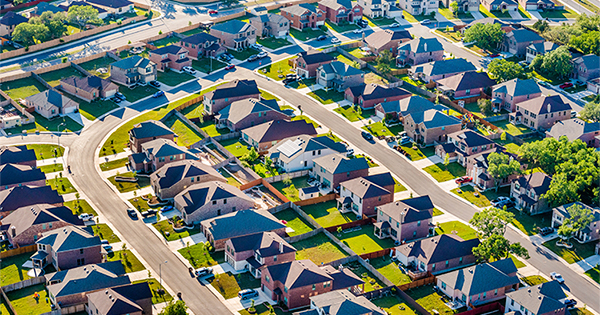 One of the questions I often hear is where to find information on new communities being built. This can be tricky as some homes are listed in the MLS but most are not. There are hundreds of new home communities in the area and it seems like a new one pops up every day! Writing about every one would be daunting to say the least. I only write about neighborhoods I’ve personally visited and spoken to a sales representative about. As time permits, I will be posting about various new build communities. In the interim, if there is a specific neighborhood you would like to know more about, please don’t hesitate to contact me. I have access to information and would be more than happy to assist you in finding the perfect community to fit your needs. BEFORE walking into any office in a new build community, there’s a few things you should know. • DO YOU HAVE A REAL ESTATE AGENT? Don’t let your curiosity kill your pocketbook. If you decide to stop by without your real estate agent present, then they will not allow any agent to help you negotiate your new home. Usually a phone call to your agent before walking inside will allow agents to register you to go in to communities with or without us, yet still allow your agent to help you navigate the process and negotiate for your best interests. • New home prices show a base price. Much like car dealer… you see an advertisement on TV that looks amazing and a price flash on the screen with a little asterisk next to it with little tiny writing about that being the ‘base price’. Then you go to the dealership to drive the amazing car only to realize how much more all of those bells and whistles featured in the commercial are. Worse yet, you don’t even LIKE the base model of the car and don’t want to pay the asking price for all the whistles. Remember when you are touring the model homes that they carry premium upgrades. It’s important to physically see a “base” house compared to the model. The upgrades you’re viewing in the model will cost tens of thousands more than the base model. It’s not unusual for someone to see the model and fall in love only to go into a “base” home and not even recognize it as the same plan. Case in point: this weekend I showed clients through several model homes. The flooring that was in the great room and entry of the model cost $50,000. No, that is not a typo. Nor was that the flooring price for the whole house, just the entry and great room. We then looked at a base home of a different plan and they hated it. Later we went to another community from the same builder where they had the home they “hated” shown as a model. Guess, what? They LOVED it, only to suffer sticker shock when they saw how much upgrades were. • Sticker shock doesn’t stop inside the house because you still need to pick out your lot. Each lot has a premium attached to it. Sometimes they have the lot price included in the base price, but more often they do not. If the builder has several lots available on which to build a plan, some may be more desirable than others based on N/S verses E/W exposure, lot size, location and other factors. The more desirable lots will have a larger “premium” to purchase them. The premium can be from a few thousand dollars to several hundred thousand dollars for a lot on a prime golf course, lake or with a view. • The same “lot” premium also applies to what level floor you’re purchasing on in a condominium; the higher the floor or the better the view or exposure, the higher the premium. The penthouse unit may be exactly the same as one on the first floor, but will be much more expensive. • Negotiating new builds has some intricacies. My recommendation is to have a clear understanding of what floor plan, lot and amenities you want before even thinking about writing an offer or discussing price with the sales people in the office. Offering too soon can leave you with a price tag much higher than originally intended. Before walking in the doors to negotiate, it’s important that you have a clear understanding of what you “need” vs. what you “want”. Make a list and shoot a copy to me. That gives us a starting and ensures you don’t later regret what is missing in your new home. 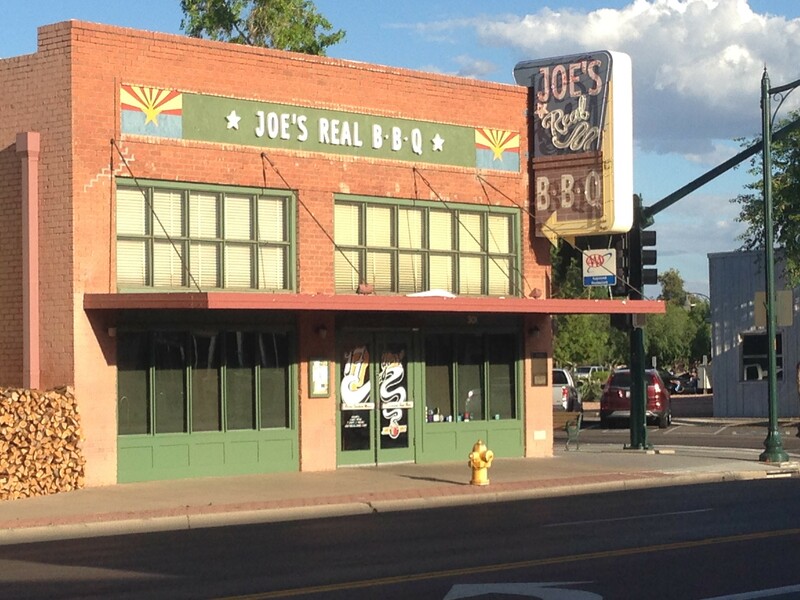 Time to head back into “Old Town Gilbert” for another stroll down restaurant row to a place to fill a hankering for BBQ, Joe’s Real BBQ. When Joe says “Real BBQ”, he’s not kidding. So real that my brother from Texas likes it. If you know Texans, you know that’s quite a compliment. The barbecue is slow cooked over pecan wood and is tender, juicy and so so yummy! 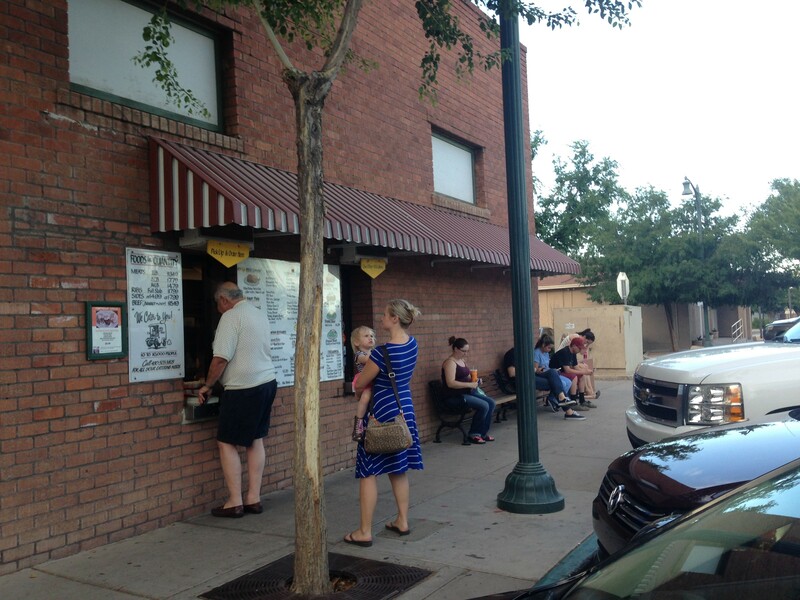 Joe’s is located in a real 1929 brick building set in the time that Arizona was all about agriculture. We’ve always received friendly service, which is saying something for a place that often has a line out the door just to order. If you just can’t wait and need to take your food and run, they do have a walk up window that you can order from too. Once inside, you order then choose where to sit. 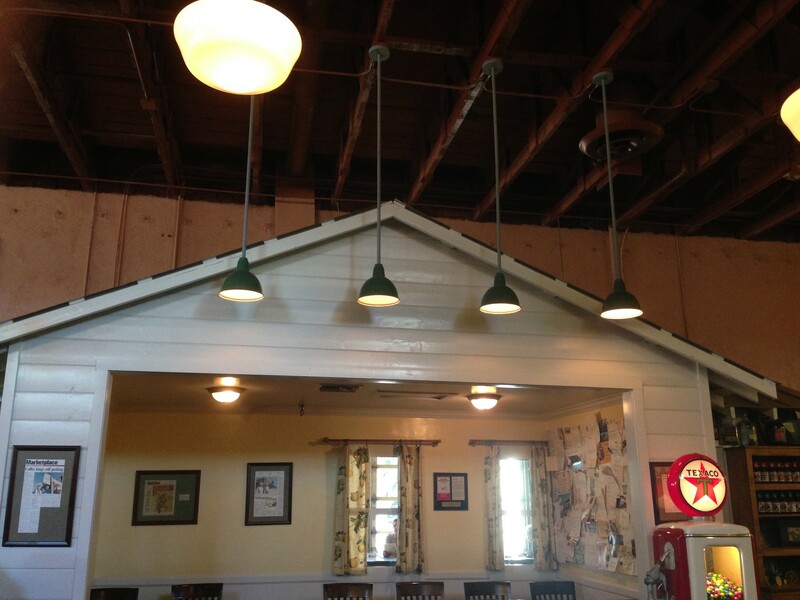 The inside is quaint and full of old farm charm. 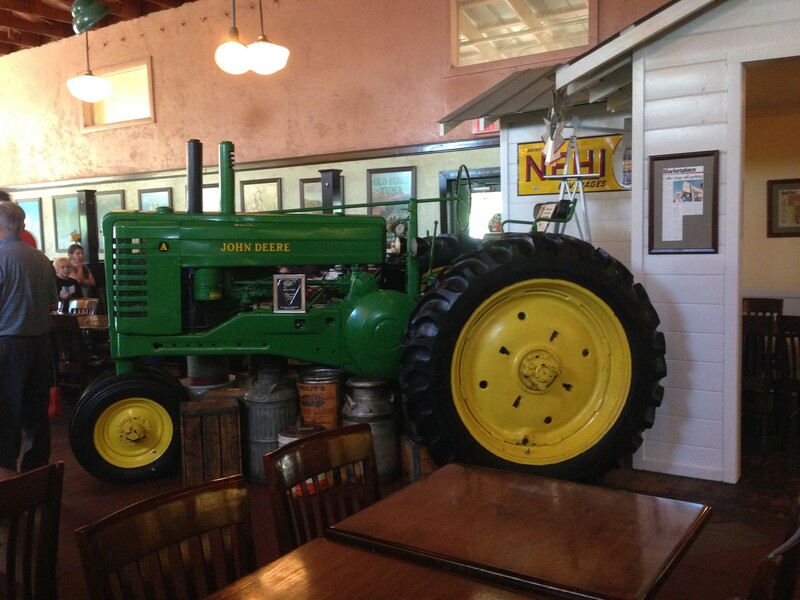 If my Dad was still with me today, the ability to sit inside a farm house that’s inside the restaurant next to a big tractor, would make his Iowan farmer’s heart very happy. 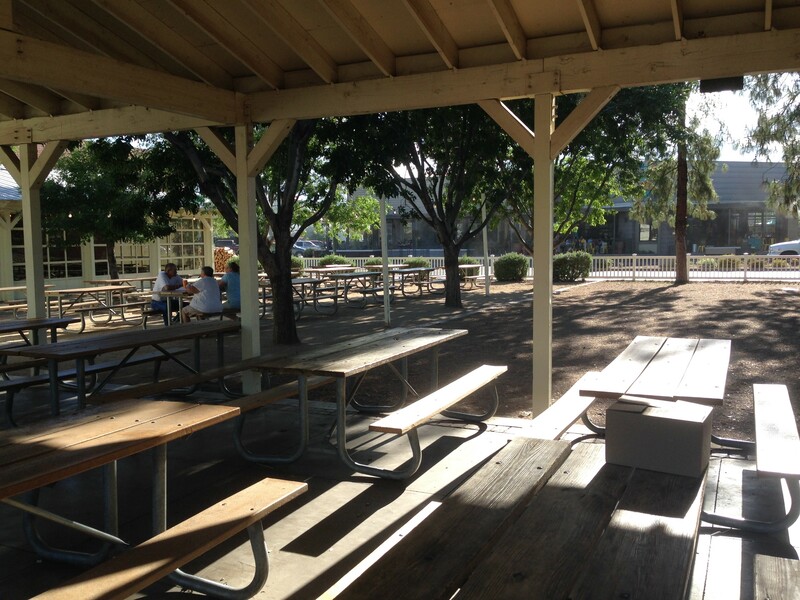 If the weather is cooperative you can also sit outside on benches or in a covered veranda. 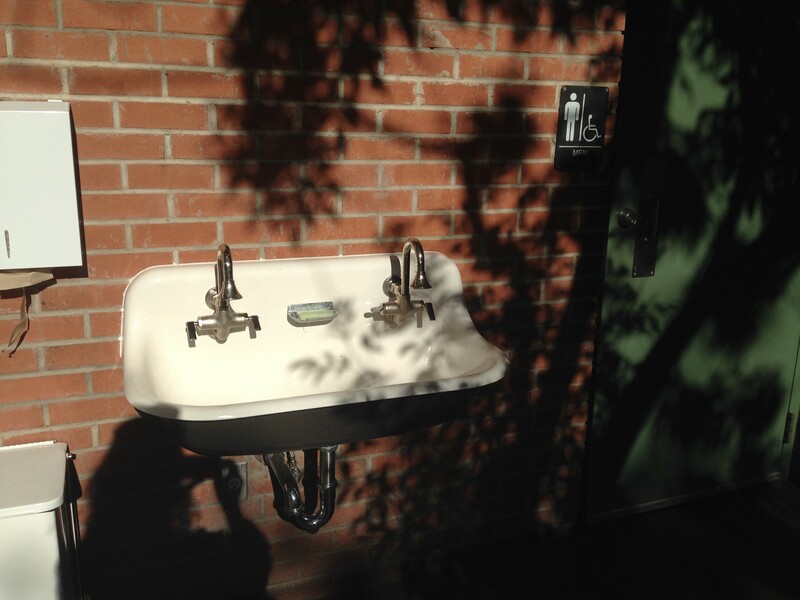 A sink to wash all the BBQ goodness off your hands is located outside near the restrooms. There’s plenty of seating, inside and out, which helps the long line to get in move fairly quickly. Have I mentioned before that I’m a carnivore? I know, I know….we could start a debate on how animals are treated, farm raised vs organic etc. but that’s not what this post is about. (Although I do prefer organic and farm raised but I’m not as strict about it as I should be). If you are one who desires, wants or needs gluten free, they do have gluten free buns. I’ve tried many of their meat options. I say “many” because I came across one I love so much that I just can’t find it in myself to order anything else. Their meat choices are fairly extensive and include pulled pork, pork ribs, beef brisket, chopped brisket with BBQ sauce mixed in, chicken breast, bone-in chicken, turkey breast, hot link sausage, turkey jalapeno sausage and my very favorite, pit ham. Seriously, it’s some of the best ham I’ve had. They also have plenty of sides that harmonize with the country charm, such as coleslaw, applesauce, cheesy potatoes, mac and cheese and more. 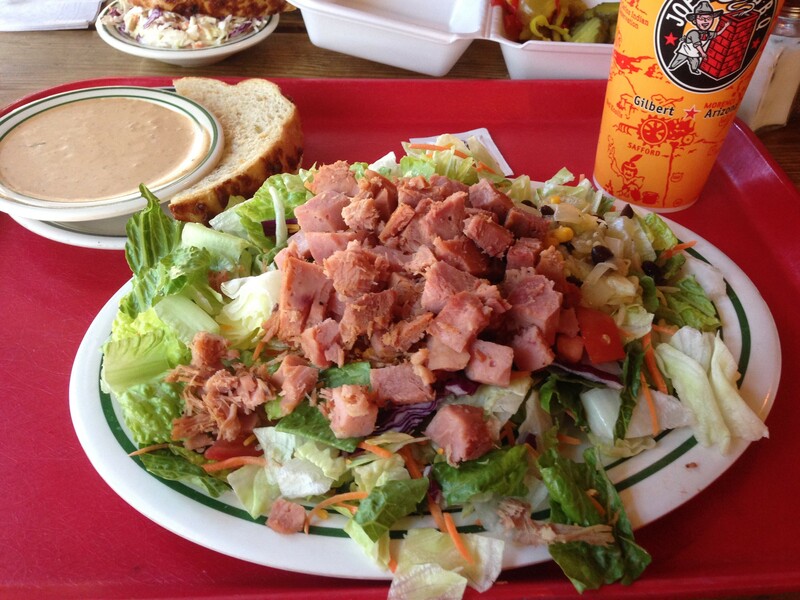 While I’ve heard favorable reports, I can’t go there without ordering their salad with the ham on top. The only downside is they only have BBQ Ranch dressing as an option. Personally, I use their variety of peppers that they offer as a side and skip the dressing for the most part. The meat and veggies are all so good that it’s more than I could possibly eat, even though I want to eat all of it. My husband is a fan of the brisket options. The BBQ brisket on their massive stuffed potato is enough for one very hungry appetite or you can share, if you’re willing to give it up. They also have dessert, cornbread and homemade root beer. By now, you probably know I’m a water or iced tea kind of girl. Their iced tea is not fancy but it’s fresh and tasty. FYI, Joe’s gives you a free meal (up to $10 off) on your birthday. Celebrating your life with good food sounds wise to me. I’m not saying I will always be here on my birthday, but I was this year! As a REALTOR® I am often asked questions about where the best places are to live, eat, shop and play. The answers are all dependent on the type of neighborhood you want to live in, the food you enjoy and what you consider fun. To help my friends and clients with the answers, I decided to start this blog. My husband and I regularly look for new places to explore, visit or dine at. While we spend a good amount of time in the SE area of Phoenix, I do work, sell and play around the valley so there will be reviews from a variety of locations, including weekend getaways. That being said, you should know my husband is a HUGE burger fan so there may be an abnormally large number of burger-related entries. 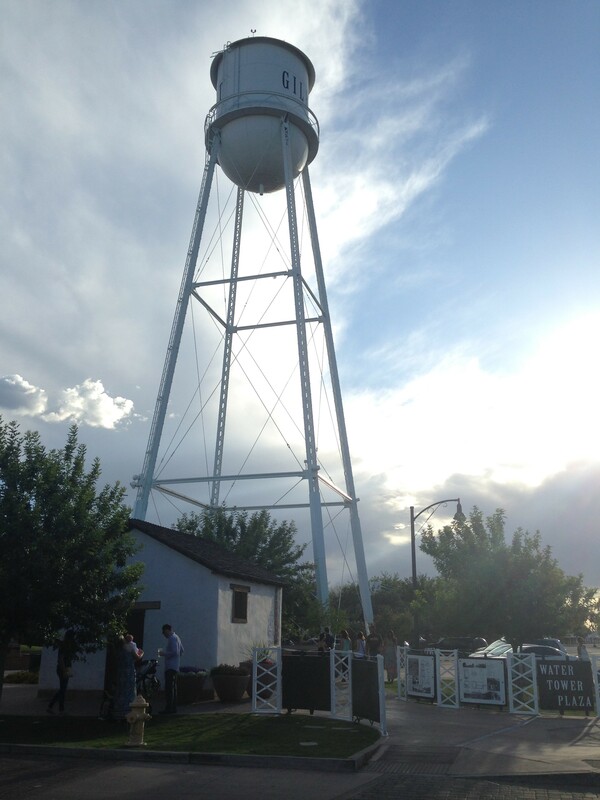 For the first few posts, the focus will be on Gilbert, the fastest growing community in Arizona and the 8th most thriving city in the US. Beginning in the Fall of 2015, Saint Xavier University (SXU) will be opening its doors in the Gilbert’s Heritage District. SXU will occupy an 87,000-square-foot space with state-of-the-art technology, smart classrooms and teaching laboratories, conveniently located in the heart of the Gilbert Heritage District. In anticipation of this exciting new addition, there has been an abundance of new restaurants opening to accommodate all the hungry residents, tourists and students. I feel it’s my duty, as your blog writer, REALTOR® and friend to suffer and try each restaurant. I have to confess, we’ve already tried most but…I’ll suffer just for YOU, my reader and try a few more. 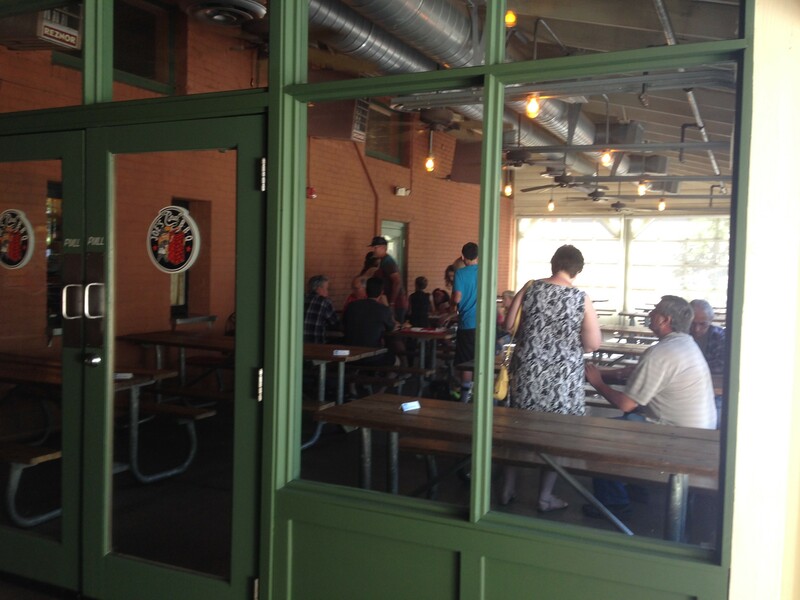 On that note, stay tuned…your Gilbert dining extravaganza is about to begin!